Buying clothing can be expensive. Whether you’re a working professional, have children, or just need clothes for a new season, you may find yourself spending a small fortune on clothing every year. Given that, why not consider a consignment store? 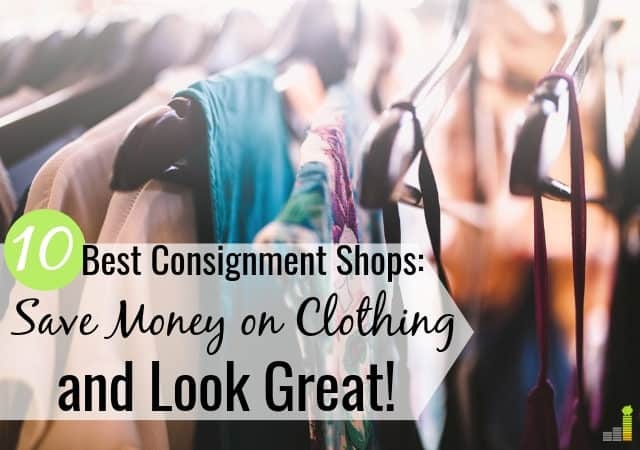 The best consignment shops help you save money on clothing and are also a great way to sell clothes you no longer need. After my daughter was born, I received hundreds of dollars worth of clothes which she grew out of in less than three months! Talk about an eye-opener. 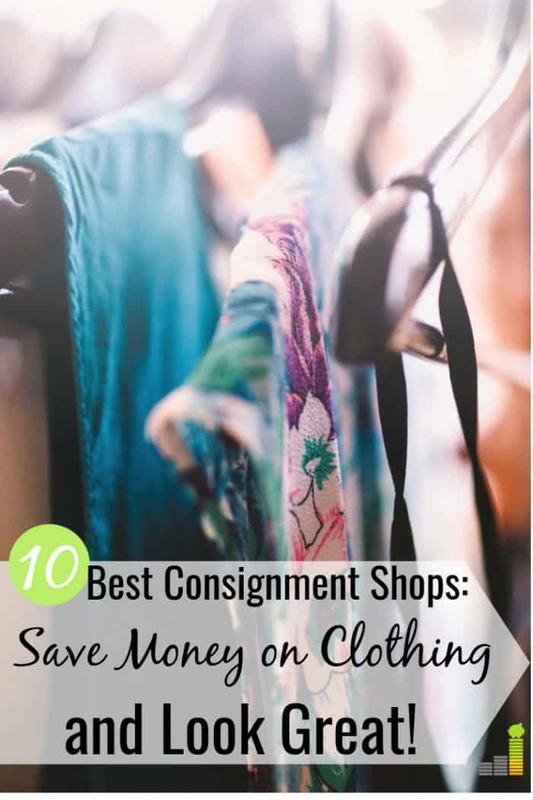 Thankfully, I was able to shop at some of the best consignment stores for significantly less than everyone else was paying, even at stores like Walmart. This was a great way to save money, and something I still do today. Many of the best consignment shops allow you to save money on clothing you need, and you can also sell clothing items you no longer use. This has two benefits: decluttering around the house and earning extra cash. You can use the money to offset the cost of new-to-you clothing or you can save it for another expense. Before you decide on which consignment store to sell your clothing, make sure you understand how they manage payment. Most stores, especially online consignment stores, make clear how you receive payment. You can expect to find cash via PayPal, gift cards, or ACH as options. If they don’t make payment details clear, consider looking elsewhere. Not all consignment shops are nearby. You can also sell and buy clothing online at a discount. Many online stores make the process simple, even letting you sell clothing directly from your phone. Below are the best online consignment stores to buy and sell clothing. ThredUp is one of the best consignment shops, and the one that I tend to use most often. Not only is ThredUp online, but they offer you payment for the clothes you send to them in one of their free clean-out bags. You can find some amazing and high-quality dresses, shirts, pants, and even shoes on ThredUp. If you spend at least $79, they offer free shipping. All of the clothes ThredUp acquires from their clean-out bags are thoroughly inspected before listing them on the website. That means that you are getting clothes that are like new for half the price. You can’t beat that. Donation: You send in your clothing and whatever they don’t accept for sale is donated to charity. Standard: You send in your clothing and whatever they don’t accept for sale is sent back to you. You can expect this to take at least three weeks. Expedited: You send in your clothing for sale and they deduct $16 for expedited service. Whatever they don’t accept is sent back to you. You can expect this process to take place within a week. The pay range varies widely, but you can expect to make up to 80 percent of the value of the item sold. ThredUp also pays an extra ten percent on designer brands over $100. The only downside to ThredUp is that it is for women and children only. So, if you’re a fashionable male on a budget, this isn’t the site for you. However, there are more of the best consignment shops on this list, so you’re bound to find one that works for you. Poshmark is another online consignment shop that makes shopping convenient and inexpensive. So how does it work? If you’re a seller, the first thing that you need to do is set up a profile. Then, take pictures of your clothing, list them with your price, and wait for someone to buy them. Make sure to use the invite code “JSCHMOLL1” to get a free $5 in your account to spend. The buyer pays shipping, so once someone purchases your item, all you have to do is ship it and wait for your money. Poshmark does take a fee for all clothing sales. If your item sold for less than $15, Poshmark will take $2.95. If your item was $15 or more, Poshmark’s fee is 20 percent. As a buyer, all you need to do is shop, similar to how you would on eBay. Each item you find may be from a different seller, but sometimes you can “bundle” your order and get discounts or discounted shipping. Poshmark is one of the best clothing consignment shops because you can get quality clothes for less. Shopping with Poshmark also supports someone trying to make money on the side or recycle their own clothing. You can also score some of the best deals on Poshmark for vintage and designer items if that’s your thing. Just make sure that the pieces you order are authentic. Ah, good old eBay. You can find just about anything on eBay, from clothes to electronics. Sometimes, you may even be able to find a nice used car. I’d consider eBay one of the best consignment shops due to its history and longevity. 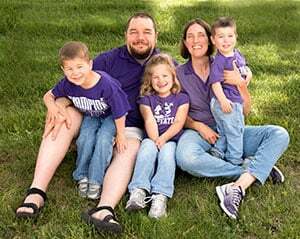 A big perk to shopping on eBay is that you can typically score some excellent deals on children’s clothes and hard-to-find items. Sometimes, you can even grab a bag full of clothes for less than you’d pay for a few items at a clothing store. The biggest plus is that, like Poshmark, you’re shopping from someone who earns extra money, or even their livelihood, through eBay. Selling on eBay is fairly easy, too, although their fees can get a bit ridiculous. If you sell on eBay, look at all aspects of selling, including the cost you paid for an item if you’re trying to flip it. You can expect eBay to take at least ten percent from the final price as a standard fee. They also can charge additional fees, shipping costs, and more, so keep that in mind as you sell clothing. Ebay does provide 50 free listings per month, so there is opportunity to make money. If you want designer for less, Tradesy is one of your best options. Not only do they offer some of the best deals on designer brands, they also offer an authenticity guarantee. In other words, if it’s not authentic, you get your money back. You can even find many items for $100 or less. I don’t care about clothing labels, but if I did, I would shop on Tradesy. Finding designer clothes for 50 percent off the retail price is a huge deal, especially if the item can last you for years to come. Tradesy makes it relatively simple to sell clothing items. You create an account and once you make a sale, they send you a prepaid shipping kit to mail your item. Tradesy charges $7.50 per item under $50. If the item is over $50, they charge a flat rate of 19.8 percent. One of the best consignment shops for luxury and designer brands is The RealReal. They have an authenticity guarantee, like Tradesy. The RealReal also offers men’s designer clothing and accessories for those looking to save some money. Want to save even more money on The RealReal? Check out the sale section on their website. Not only will you find already discounted luxury items, but you’ll save even more money because they want to clear out their inventory! The RealReal offers a scale-based payment system, allowing you to make up to 85 percent of the value of the item sold. If you have high end items to sell, The RealReal is a good option to sell your items. Not all consignment stores are online; you can also find physical stores where you live. Some of the following chains have stores in as many as 20+ states, while others are only in larger cities like New York or San Francisco. Below are some of the best consignment shops across the country. Plato’s Closet is one of the best consignment shop options across the country, specializing in items for young adults. They are picky about what they accept, so you’re bound to find some quality clothing and brands. However, their payout isn’t the greatest, so I recommend them more for shopping than selling. Plato’s Closet is popular where I live, so I always find great deals on clothes. 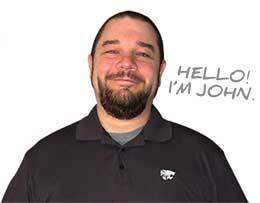 Plus, if you sign up for their email list, you’ll be the first to hear about new promotions. For instance, I was able to get an extra 40 percent off in my area when I shopped on Black Friday. I got over $400 worth of clothes for less than $100. Another great option for a physical consignment store is Buffalo Exchange. They work a lot like ThredUp when it comes to selling your clothing, but they also have physical stores where you can shop. You don’t need to set any appointments with Buffalo Exchange – you simply walk in with your clothing items. Buffalo Exchange pays out 30 percent (if you want cash) for items they sell for you. If you prefer store credit, they offer up to 50 percent back. Buffalo Exchange specializes in designer clothes, but they do take other items as well. They’re also really big on giving back to the community, which is a plus in my book. Looking for children’s consignment shops? You’re in luck if you have a Once Upon A Child near you. I have one of these stores in my area, and it’s one of the best consignment stores I’ve seen for kids. Not only do they have clothes, but they have furniture, toys, costumes, and shoes too. If you go into a Once Upon A Child, you’re bound to find something. If you decide to sell your children items to Once Upon A Child, they even pay you on the spot. I usually sell some items and use that money to buy a few items that they have in the store that day. Not only do I get rid of clothing my daughter can’t wear anymore, but I can pick up clothes she actually needs right in the same store. New York City has some of the best consignment shops, and Beacon’s Closet is one of them. If you’re a fan of the super-trendy clothing options, or if you have a vintage vibe, Beacon’s Closet is where you should go if you’re in New York City. You can either sell items on the spot at the store, or drop them off for them to process and sell. Beacon’s Closet pays out 35 percent cash of items you sell, or 55 percent store credit. You can have the store donate items you don’t sell to charity. They’ve also introduced their own closet clean-out system, and they even let you sell your accessories, which many other places won’t accept. If you can never have enough vintage in your closet, Awoke Vintage is the best consignment shop for you to visit. Awoke Vintage is located in Brooklyn and is considered a NYC only store. However, they’ve updated their Instagram account so you can shop some items if you can’t get to the store. While the whole store won’t be available, you may find quite a few pieces for less, and without having to go all the way to New York. There are many great options for consignment stores. Whether you prefer selling items online or visiting a physical consignment store you, won’t be disappointed. If you love getting good deals on gently used clothing, or if you find yourself trying to save money on the brands you love and adore, give these consignment shops a try. You may be surprised at all the goodies you can find. Just remember, it’s best to sell items to help offset costs of the ones you buy. What consignment shops do you use to save money on clothing? How often do you try to sell clothing? What are some other tips you use to save on clothing?